When you are planning out your barbecue session it can be tricky figuring out how long to smoke a brisket. A general estimate is that if you are cooking at 250F then you should plan on smoking a brisket for one hour per pound. I put that estimate out there because it is pretty accurate and is the information that people are looking for. However, one of the most common ways that people screw up their briskets is by using an estimate like that as a rule. The honest answer is that you smoke a brisket until it is done. The brisket will tell you when it is done when it lets a probe slide through it with little to no resistance. At this point it will have an internal temperature of about 205F but again, the real guide is whether or not it lets the probe slide through. Maybe it will take an hour per pound or maybe it will take 90 minutes per pound. But hold on….we can flip things around a little if you want. There is a LOT of nostalgia built into that hour per pound estimate and while nostalgia is romantic it does not have to be revered. The size of the brisket. The temperature of the smoker. Whether or not you wrap the brisket. The hour per pound estimate is based on traditional low and slow Texas Style brisket. 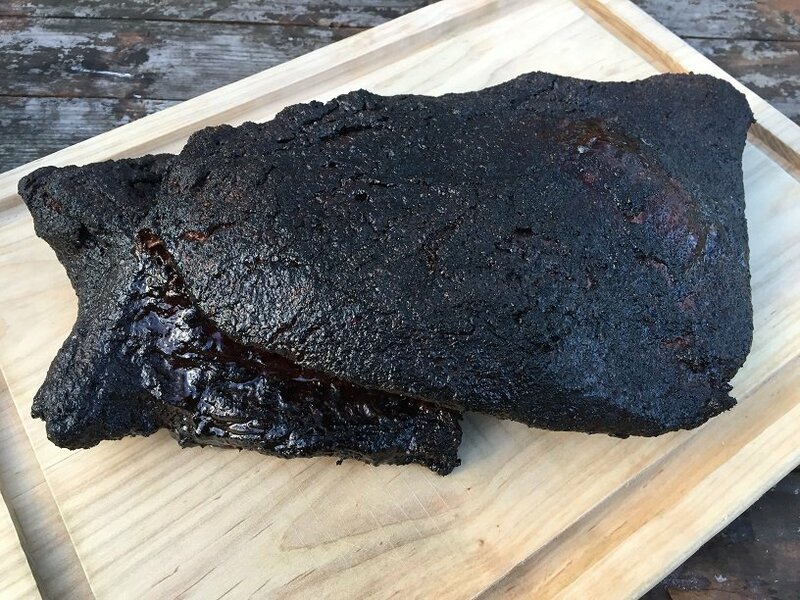 In this technique you smoke you brisket for about six hours, wrap it in butcher paper and then let it cook another five to seven hours until its done. The butcher paper protects the outside of the brisket from getting too smokey and burnt. Wrapping the brisket in the paper also concentrates the heat in the brisket and speeds up the cooking a little. In general a brisket wrapped in butcher paper will cook a little faster than an unwrapped brisket. You can reduce the the cook time to 45 minutes per pound if you swap out the butcher paper with aluminum foil. To use the foil properly you need to first let your brisket smoke for about six hours. This will give the brisket plenty of time to soak up the smoke and develop a beautiful surface bark. After six hours wrap the brisket TIGHTLY in a double layer of heavy duty aluminum foil. I like to add about a half cup of liquid to the foil before wrapping to add some flavor and help the meat braise. Put the foiled brisket back on the smoker and it will be done much sooner than if you were using loosely wrapped butcher paper. 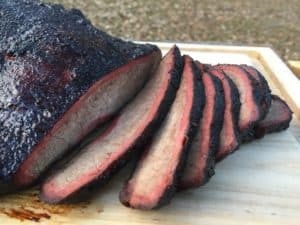 “Purists” (aka nut jobs, lunatics, fanatics, knuckleheads) will give you a load of crap for using foil and say you don’t know how to cook a real brisket because you are using the Texas Crutch. Screw them. The biggest difference between a brisket finished in foil compared to one finished in butcher paper is the texture of the bark. A brisket finished in foil will get steamed and have a looser bark than what you would get from butcher paper. You can reduce the the cook time to 30 minutes per pound if you smoke Hot and Fast. If you really want to piss off a barbecue Purist ask them to tell you about Hot and Fast Power Cooking. The Hot and Fast method is the backbone of Myron Mixon’s brisket recipe that has won countless Grand Championships on the competition barbecue circuit. Smoke the brisket at 300F for two hours. Tightly wrap the brisket in foil and cook at 300F for three hours. Remove the brisket from smoker, cover it with towels (still in the foil) and let it rest in an insulated cooler for two to four hours. This technique can be used to smoke a fifteen pound brisket in seven to nine hours. I need to point out that the third step in the process, covering the foiled brisket and letting it rest in an insulated cooler, is critical. Although we say that the brisket is “resting” it is really using its residual heat to continue the cooking process. Do NOT skip this step. About an hour and fifteen minutes per pound if you cook at 250F and don’t wrap. About an hour per pound if you cook at 250F and wrap in butcher paper. About 45 minutes per pound if you cook at 250F and wrap in aluminum foil. About 30 minutes per pound if you cook at 300F and wrap in aluminum foil. If you were wondering about brisket cooking times then I bet you have a few other brisket questions on your mind. 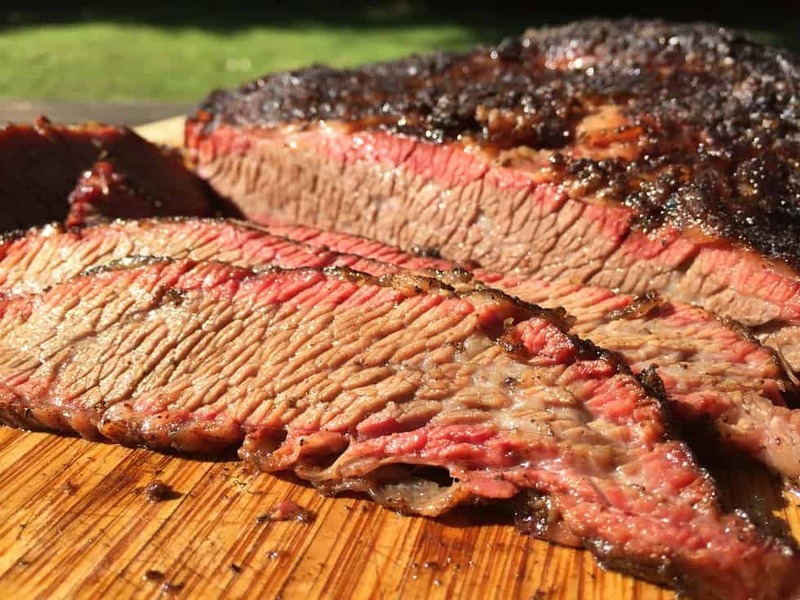 Let me turn you into a legitimate Brisket Master with my FREE Brisket Boot Camp. Sign up below and let me send you some serious brisket lessons.